What a nice surprise; Pretty.Random.Things. received another blog award! This time we were awarded the Liebster Award by Michelle of Pretty in the East. Thank you so much, Michelle! 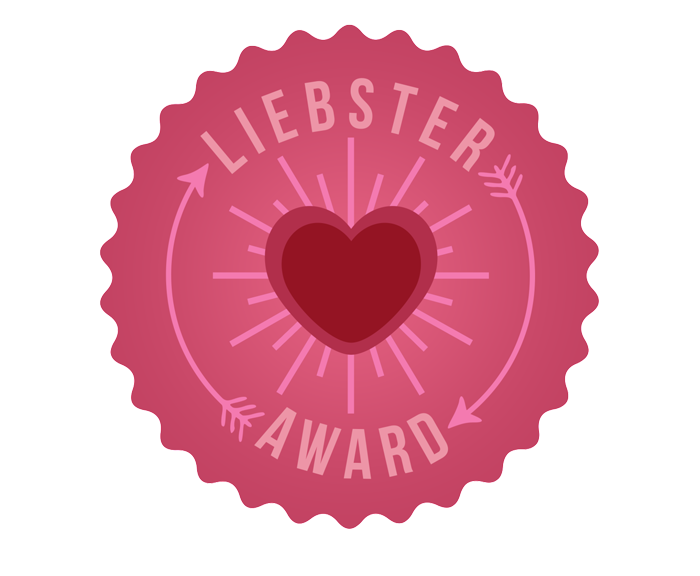 What is the Liebster Award, you ask? It is an award given to smaller blogs to expose them to a bigger audience of readers. A pretty cool idea, I think! I've been blogging since June 2011, so that means I'm at the 2 years and 4 months mark as of today. I started blogging because I was bored and wanted my own little online space where I can share the things that I love, make lists, post pictures and interact with interesting people from around the world. 2. What type of post(s) do you enjoy reading and writing the most? I enjoy reading fashion and beauty posts (I mostly like looking at pictures) and humorous diary-like lifestyle posts. My favorite posts to write are lists... about everything. 3. What are three of your favorite songs, either current or classic? There's no way I can answer this. I have a very very eclectic taste in music and if I had to make this choice, we might be here for days and days. I'm mostly inspired by images, as I'm a very visual person. I'm also inspired by strong, independent, successful women. 5. If you had $500 to spend on one makeup brand, which would you choose and why? I think I'll go with MAC. I like the quality of their products and adore their lipsticks and makeup brushes. Classic, simple, comfortable, chic, feminine, preppy. I've always wanted to go to French Polynesia. In ten years I'll be 38. AHHH! I see myself living the simple life with my man, in a beautiful house with a big yard and at least two dogs. Maybe a kid or two, a successful business and, of course, being healthy and happy. 9. What are your top three ‘holy grail’ products you can’t live without (makeup, skincare, bath, body, etc.)? Products that I keep repurchasing, and that I'll probably use for the rest of my life, are Nivea's Q10 Plus body lotion, Lancôme Hypnôse mascara and Kérastase Masquintense hair treatment. 10. What are you looking forward to the most this fall and/or winter? I'm really looking forward to wearing all my cozy sweaters, drinking lots of tea and cuddling with my man on those cold days. 1. What is your ultimate travel destination? 2. What is your favorite online shopping site? 3. How many times a day do you check social media? 6. What is your most worn lipstick? 7. What would you do with $1 million? 9. Do you think you'll blog forever? Or do you have a cut-off age? I like Mac a lot too but recently i am discovering many other interesting brands.